Do you remember running around the playground on the last day of term getting your friends to sign your shirt? Fast forward in time to today, where Summer uniform is often a polo shirt which simply doesn’t have the same appeal or flat surface area for writing. Autograph books have a place on every bookshelf, as a fun-filled activity and durable modernisation to a timeless tradition. These books work perfectly alongside yearbooks or as a cheaper alternative. With larger schools, the cost is reduced further, as schools who order over 100 books get a 5% discount applied to their order. Check out our selection of both standard or customisable designs below and find one to suit your school. 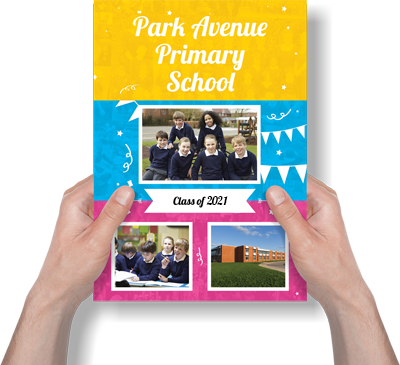 Alternatively, take a look at our yearbook collection or online creator. Get a free sample of our yearbooks to see how amazing they are!